The past several months have provided new opportunities for Cooperative Extension professionals to come together to help understand racial equity issues within their own organization as well as include racial equity into programs they conduct within communities. 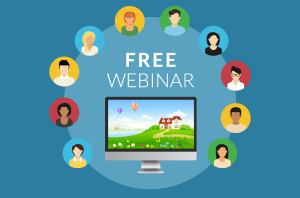 This webinar will highlight several tools, strategies, and takeaways from a panel that participated in the “Coming Together for Racial Understanding” week-long workshop in August 2018; this national workshop had Cooperative Extension participant teams from 20 states. We will also learn about the work of eXtension Foundation’s Diversity, Equity and Inclusion fellow and a new fieldbook resource. Many of you are looking for a place to start including racial equity in your work and/or making connections with those who have had multiple learning experiences with racial equity and are already using it as a programming lens. We will use the majority of the webinar time to field participant questions and insights about integrating a lens of racial equity in the work of food systems, agriculture, health, and related content areas. Although the webinar panel is focused on Cooperative Extension learnings, the webinar is open to all educators in the food system who want to incorporate a racial equity lens in their work. Sponsored by the eXtension Racial Equity in the Food System workgroup – A community of Cooperative Extension professionals and community stakeholders who connect, learn and collaborate to facilitate change within our institutions and society to build racial equity within the food system.